Years ago when I lived in Paris, I would regularly stop into the pharmacies strung along the street corners of each arrondissement. Yes, I loved searching for vintage clothing in the many incredible stores I stumbled upon, but I think I spent just as much time exploring the French drugstores. I’ve always been someone who is constantly experimenting with beauty products and skincare treatments, so finding aisles and aisles of French beauty products I had never encountered before was nothing short of exhilarating. I watched to see which items stylish Parisians were adding to their carts and soon learned exactly which French pharmacy products were must-haves. Over the time I lived there, I brought bags of products from popular brands like Bioderma, Nuxe, and Avène back to my apartment in the Marais and turned my bathroom into testing grounds for all of my latest discoveries. When I left Paris, I made sure to bring as many of my prized French beauty products as I could back to the States. And every trip since, I make sure to leave room in my suitcase for my most-loved items. Now, though, you don’t have to travel to Paris to get many of the best French pharmacy products since you can order them straight from Amazon. Ahead, I’m breaking down the ones I personally love that are worth adding to your cart. 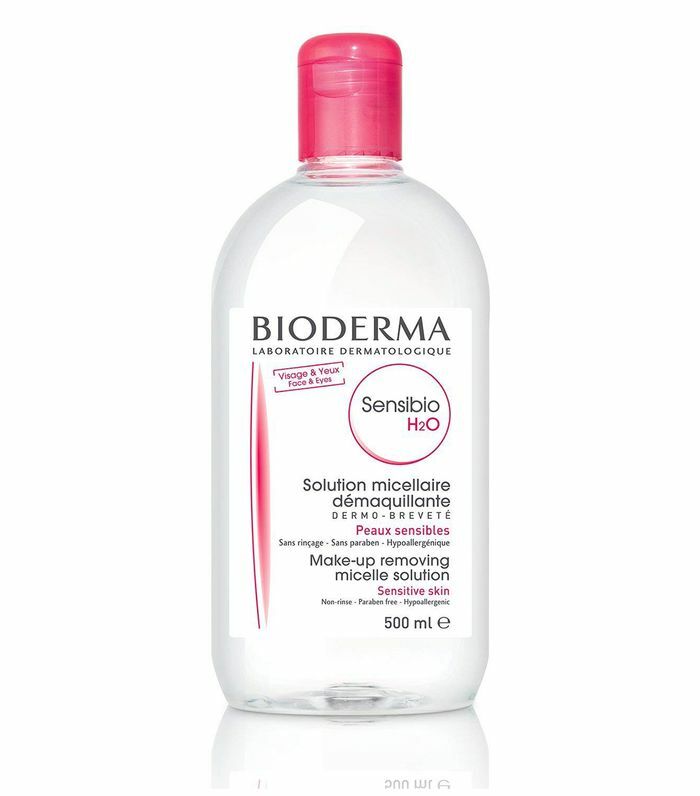 I first discovered this micellar water because I read it was a staple backstage at fashion shows for makeup artists and models. Ever since I first got my hands on it, it has been an everyday staple in my beauty product arsenal. Truly one of my most-loved products. You'll be sure to find this incredible moisturizer in beauty enthusiasts' medicine cabinets. Its super hydrating and leaves skin with a radiant glow. I have this soap in my kitchen and bathroom because I love its scent but also the beautiful bottle. This is actually a recent addition to my routine but I'm addicted. It's perfect for sensitive skin and has the most incredible, subtle scent. This sunscreen is very lightweight, so it's the perfect protective shield to wear on its own or underneath makeup. To me, nothing screams summer quite like this oil from Nuxe. They make a regular version, but I love the shimmery effect of this one with its gold-flecked formula. Dry shampoo saves my hair on many occasions, and this one is especially excellent. Here's a lip balm you'll be sure to spot in nearly every French woman's bag. I store this beauty elixir spray in my desk at the office. One spritz in the afternoon is exactly what I need to refresh my skin. For those who a scent-averse, this Avène water mist is another great way to revive the complexion. Vitamin A is one of the key anti-aging products that I can't live without, and this French pharmacy one has glowing reviews from everyone across the industry. Perfect for hair that is dried out from heat or coloring damage. I personally have yet to try this body wash but have it sitting in my shopping cart right now because I've read so many incredible reviews of it. Whether you have a sunburn or redness, this always does the trick. Created to combat chaffing and remedy irritated skin, this product has achieved serious cult status for its heal-anything effect. The French are truly masters of waterless products to use for travel and on the go. If you have dry skin, this is a necessity. 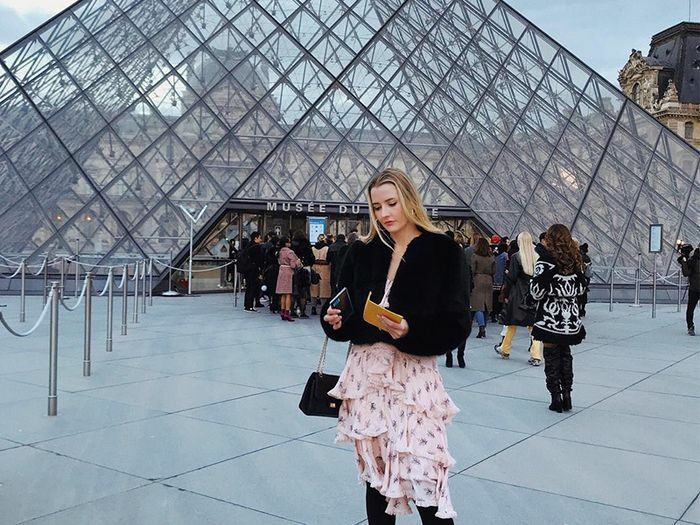 Next, the fashion lessons I learned after living in Paris.